Nancy Blomberg died Sept. 2 at her and her husband's second home in Breckenridge. Widely recognized for her efforts to champion Native American artwork, Blomberg was the longtime chief curator and Andrew W. Mellon curator of Native Arts at the Denver Art Museum. A true champion of Native American art and a trailblazer for the way these pieces should be presented and appreciated, Nancy Blomberg died on Sept. 2 in an accidental choking at her Breckenridge home. She was 72. 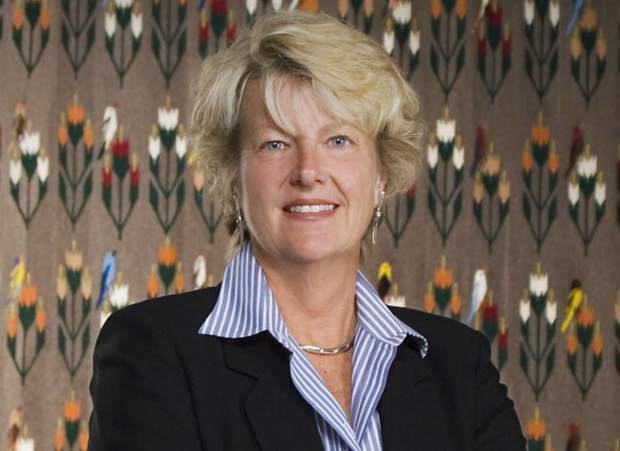 Blomberg was the longtime chief curator and Andrew W. Mellon curator of Native Arts at the Denver Art Museum, where she worked for more than 28 years. Since her death, Blomberg has been widely admired for her work in full-length feature articles appearing in art industry publications, like Westword and even The New York Times. “She was quite amazing,” said Art Blomberg, Nancy’s husband. Working with Nancy at the Denver Art Museum for 17 years, Andrea Fulton, the museum’s deputy director and chief marketing officer, couldn’t agree more. Coming to know Nancy well, professionally and personally, Fulton said she greatly enjoyed her candor, found her reliable to a fault and extremely pragmatic. Fulton added that Nancy cared deeply about championing Native American artists and connecting people to Native cultures, both past and present. The Blombergs lived together in Denver for more than 28 years, but the couple always loved Summit County and kept a second home here. Art described it as their escape from the busy city, a place to decompress and get close to like-minded individuals and the Rocky Mountains. The couple bought land in Breckenridge’s Summit Estates neighborhood in 2004 before purchasing a condo in Frisco in 2009. The Blombergs later sold the condo to help build a home on the land in Breckenridge. They received a certificate of occupancy, which allowed them to move in, in October 2016. The allure of the mountains was as simple as the landscape, Art said, detailing how he and his wife enjoyed their outdoor activities, like skiing and hiking. Together they scaled 18 of Colorado’s 14ers. “It seems like there is an active, outdoorsy kind of people in Summit County, people who were like-minded to us, so it was nice to be up here with folks who also enjoy the outdoors,” he said. Fulton believed that Nancy, originally from the Chicago area, was made for Colorado. “For not being from Colorado, she embodied that Colorado spirit,” Fulton said. Art retired about two years ago, but his wife was enjoying life so much that she decided to continue working at the Denver Art Museum past the typical retirement age, he said. “She wanted to do it as long as she could and for as long as the museum felt she was doing a good job,” he said. Rather than see Native American art pieces as artifacts from ancient tribes, she urged people to view them as unique artwork created by highly skilled individuals, just like any other art form. Furthermore, Nancy felt it was crucial that people understood these pieces are not the result of some long-lost art form that has died out, but media that continue evolving with modern Native American artists. “I think there’s a common misconception that American Indians, their culture and their artwork died out at the end of the 19th century about the time of Wounded Knee,” she told Colorado Public Radio in a April 2010 interview. According to Art, his wife was laser-focused on hiking, just like she was with her career. If he could offer one piece of advice from his and his wife’s hiking trips, Art said, it’s that they went after the 14ers all wrong. Explaining the reasoning, Art said that as he and his wife grew older and their abilities began to fade, they decided they should have tackled some of the moderate to harder mountains first and saved the easy ones for last.